Colorado’s fifth largest Wilderness Area, at over 175,000 acres, the West Elk Wilderness Area sits in a somewhat forgotten corner of the Western Slope, receiving a fraction of the visitors that flock to its famous near neighbor the Maroon Bells-Snowmass Wilderness, a range, a valley, sometimes it seems a world away near Aspen, Colorado. In general to be considered for Wilderness designation an area of public land has to be of a size sufficient to manage it for the purposes of the Act (usually 5,000 acres and larger), exist in a primarily natural condition where the work of people is “substantially unnoticeable,” and have “outstanding opportunities” for solitude or for “primitive and unconfined recreation.” It may also have unique features such as interesting geological, historical significance, or particular biological resources. The original designations in the 1964 Act (with a total of 54 areas in 13 states) included a handful of Colorado areas including, in addition to the West Elk, Mount Zirkel, La Garita and the Maroon Bells-Snowmass areas. Other areas followed with subsequent Acts of Congress that expanded the system, like Weminuche, Colorado’s largest, and the Flat Tops (both 1975), Eagles Nest (1976), Indian Peaks (1978), Holy Cross (1980). Some National Park Service lands in Colorado were designated as Wilderness in 1976, including portions of Mesa Verde, Great Sand Dunes, and the Black Canyon National Parks. 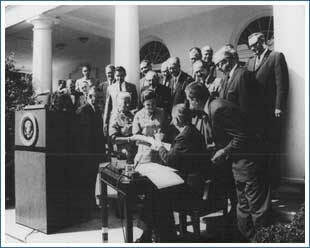 And in 1976 Congress also expanded the National Wilderness Preservation System to include the fourth primary (non-military) federal land agency: the U.S. Bureau of Land Management (joining the U.S. Forest Service, the U.S. Fish and Wildlife Service, and the National Park Service). There are now over 40 Wilderness Areas in Colorado on National Forest, National Park Service, and BLM administered public lands. (2,500 acres of the Mt. Massive Wilderness is jointly managed by the U.S. Forest Service and the U.S. Fish and Wildlife Service to protect water resources for its Leadville Hatchery). 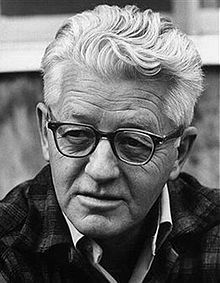 In 1960 author Wallace Stegner wrote a letter to the U.S. Forest Service advocating for wilderness protection. The “Wilderness Letter” remains a strong argument today for protecting America’s remaining wildlands. “I want to speak for the wilderness idea as something that has helped form our character and that has certainly shaped our history as a people. “…Something will have gone out of us as a people if we ever let the remaining wilderness be destroyed; if we permit the last virgin forests to be turned into comic books and plastic cigarette cases; If we drive the few remaining members of the wild species into zoos or to extinction; if we pollute the last clear air and dirty the last clean streams and push our paved roads through the last of the silence, so that never again will Americans be free in their own country from the noise, the exhausts, the stinks of human and automotive waste. And so that never again can we have the chance to see ourselves single, separate, vertical and individual in the world, part of the environment of trees and rocks and soil, brother to the other animals, part of the natural world and competent to belong in it. Without any remaining wilderness we are committed wholly, without chance for even momentary reflection and rest, to a headlong drive into our technological termite-life, the Brave New World of a completely man-controlled environment. “We need wilderness preserved–as much of it as is still left, and as many kinds–because it was the challenge against which our character as a people was formed. The reminder and the reassurance that it is still there is good for our spiritual health even if we never once in ten years set foot in it. It is good for us when we are young, because of the incomparable sanity it can bring briefly, as vacation and rest, into our insane lives. It is important to us when we are old simply because it is there–important, that is, simply as an idea. 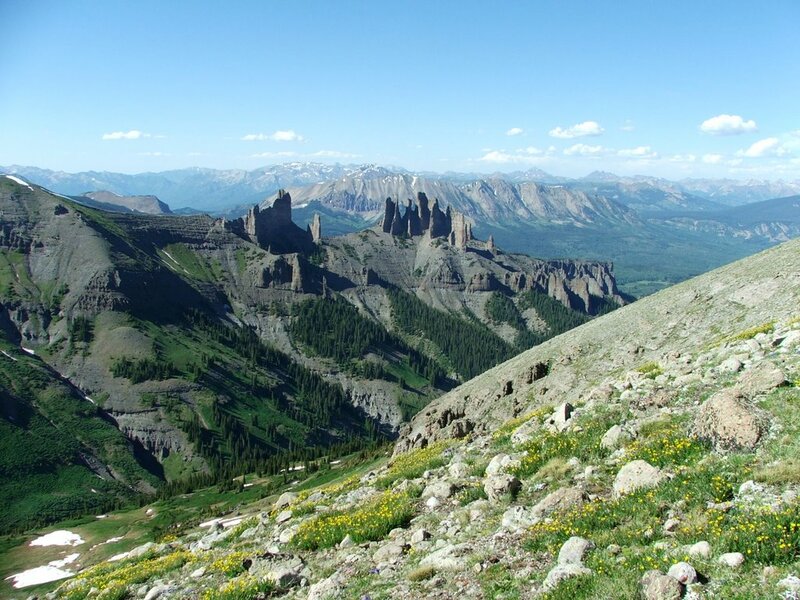 Wilderness around the North Fork region presently includes National Forest areas like the West Elk, Maroon Bells (both 1964), and the Raggeds (1980), portions of the Black Canyon National Park (1976), and Gunnison Gorge (1999), managed by the BLM. Not much further, straddling Delta and Mesa Counties is one of Colorado’s newest additions—the Dominguez Canyon Wilderness (BLM, 2009). In addition to those already designated Wilderness, a handful of other BLM lands are managed so as not to impair their suitability for future Wilderness designation. These are Wilderness Study Areas (WSAs) as established by an Act of Congress—and include two almost local areas on either side of Delta: the twisting arroyos and eroded mesas near the Devil’s Thumb (Adobe Badlands WSA), and the wild canyon country around Roubideau, Potter and Monitor creeks, on the flanks on the Uncompahgre (Camel Back WSA). Some other BLM WSAs include the Little Bookcliffs (between Palisade and DeBeque), Handies Peak and Redcloud Peak (near Lake City), The Palisade (near Gateway), Sewemup Mesa and Dolores River Canyon (Slickrock to Bedrock). A beaver pond reflects the blue sky on a fall day in the Raggeds Wilderness. The four Wilderness Areas that directly border the North Fork are impressive, and provide a variety of backcountry opportunities in a fascinating array of geology. The West Elk, the Raggeds, the Black Canyon, and the Gunnison Gorge Wilderness Areas highlight an incredible diversity of landscapes and mark the transition from the Rocky Mountains into the spectacular, rugged canyon country of the Colorado Plateau. The North Fork’s nearby Wilderness Areas offer outstanding recreation opportunities including backcountry skiing, whitewater rafting, climbing, hiking, horse packing, world class hunting, and gold medal angling opportunities. Wilderness Areas are managed with a ‘minimum tool’ approach, allowing natural regimes to play out as much as practicable, providing a baseline and a ‘control’ to the human experiment that has transformed the western landscape over the last 200 years. 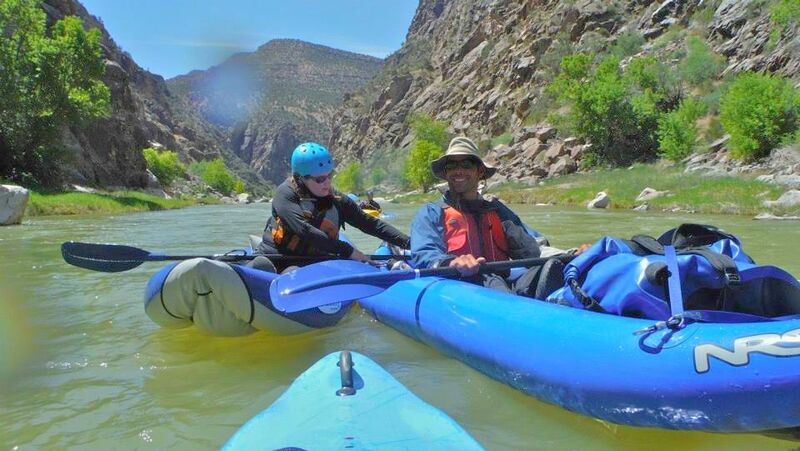 The Gunnison Gorge offers a premier whitewater Wilderness adventure. Although they seek to leave intact, to preserve, important tracts of natural lands, where human intervention is minimal and generally only low-impact activity is allowed, Wilderness Areas are not meant to be museums or isolated examples of pristine nature. Wilderness Areas have always been conceived as part of a set of national protected lands within healthy functioning ecosystems, often part of a larger management framework of public lands—such as a National Park, National Conservation Area, or special recreation management or use areas. Colorado is steeped in the history of Wilderness conservation. The very ‘Idea of Wilderness’ as a public land designation has some of its earliest roots in Colorado. Notably in Arthur Carhart, who–recently returned from service during World War I and out surveying near Trappers Lake in 1919 for the U.S. Forest Service–looked at the alpine plateau jutting above the basin and settled on the notion that society would benefit more by keeping some places intact than by developing them. 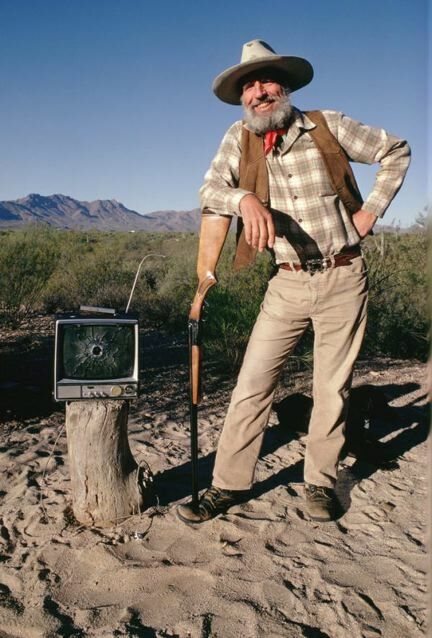 His work, and that of others like Bob Marshall, Aldo Leopold and Howard Zahniser would eventually lead to the Wilderness Act more than forty years later. Now, another fifty years after that, the National Wilderness Preservation System includes over 750 designated areas, protecting more than 100 million acres in 44 states and Puerto Rico. Today Wilderness Areas protect some of Colorado’s most iconic landscapes and are enjoyed by millions. These public lands provide outstanding recreation from kayaking, skiing, and climbing, to hunting, fishing, hiking and camping. Wilderness Areas protect headwaters, riparian areas, and our clean water supplies. Wilderness Areas secure some of the most important wildlife habitat, safeguarding Colorado’s big game herds and other wildlife. One hundred years before Stegner wrote his letter, and more than fifty years before Arthur Carhart had his Flat Tops epiphany, Henry David Thoreau wrote about the renewal and benefit found walking in the woods. There is a profound wisdom and humility in setting aside some of the world’s more natural places to follow their own rhythms, schedules and purpose. There is also profound ecological sense in it. Wilderness’ rejuvenating power is not only a balm for the wary individual, but also replenishes our water supplies, restores our clean air, and helps balance greenhouse gas levels, maintain healthy wildlife, and provide for economic activity. The history of Wilderness in Colorado is a key part of the history of public lands conservation in the west, but the final chapters have yet to be written. 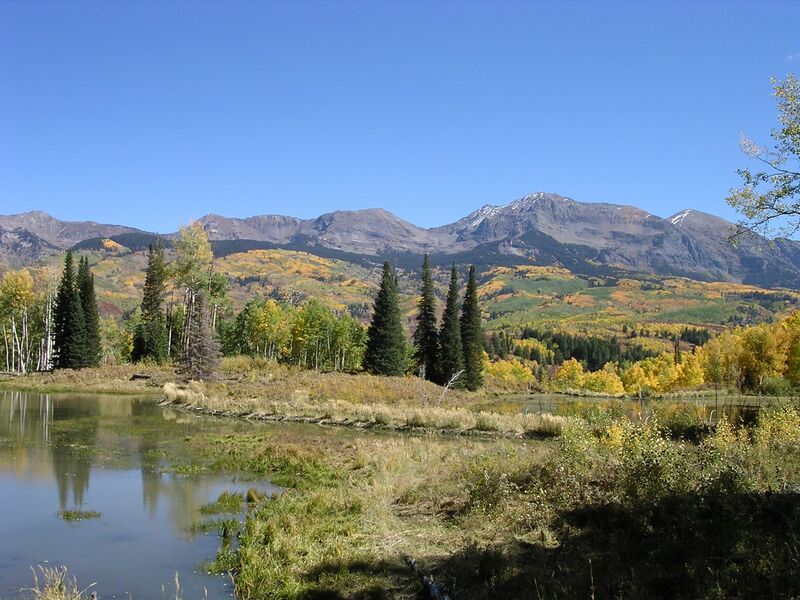 Just this month (November 2014) the U.S. Senate passed out of committee a bill that would protect public lands in the Hermosa Creek watershed near Durango, including a portion designated as Wilderness. 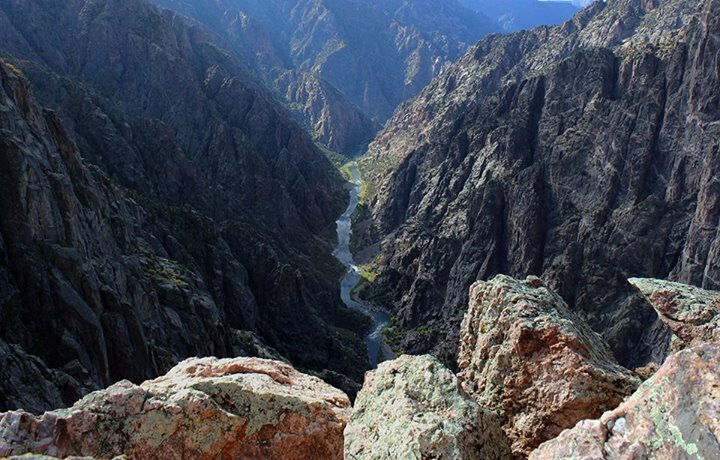 And other efforts—in Central Colorado, in Gunnison County, at Browns Canyon, and elsewhere—are ongoing as local coalitions of citizens, businesses and organizations advocate for stakeholder-based conservation solutions including Wilderness proposals and public lands legislation.